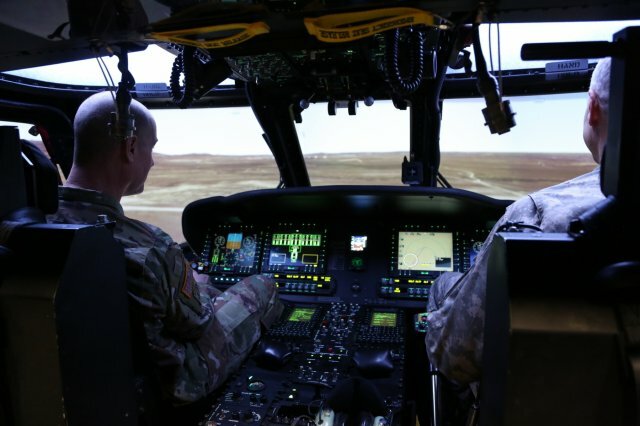 DECEMBER 7, 2018, Redstone Arsenal, AL – Three years after the first prototype for the Black Hawk aircrew trainer was set up and implemented as a training aid at Fort Bliss, Texas, that technology has been enhanced. “Design began over a year ago at a somewhat frustratingly slow pace for the BAT Team but, week by week and part by part, the CAPE device took shape and became the device we have today,” Creekmore said. The singular focus of the Army’s modernization strategy is making sure the warfighter and their units are ready to fight, win, and come home safely. As the head of the BAT Project, Creekmore said he believes the Army needs the CAPE to contribute to and ensure readiness in aircrews. 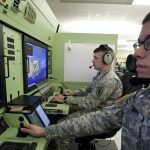 “Because we are a nation that has been continuously at war since 9/11, all the BAT Projects’ Army aviators have experienced combat overseas,” Creekmore said. “They all went into combat as part of a trained team. “What we’re trying to do here is … teach that crew coordination to allow pilots and crew chiefs to train like they would in combat with two devices tethered to each other,” said Wright, who spent more than eight years as a crew chief. “In combat, no UH-60 breaks ground without its full complement of two rated aviators, a non-rated crew chief/door gunner and a second door gunner,” Creekmore explained. He said this type of equipment and training is necessary to maintain the high performance level and proficiency that exists in our Warfighters. 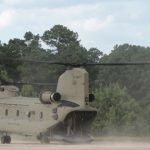 “It is my hope that … the Army invests in further development of the CAPE and then fields it as BAT mission equipment so we can get this critical training capability in the hands of UH-60 aircrews throughout the Army,” Creekmore said. Wright said the potential exists to use this technology to train complete crews in rescue hoisting and cargo sling load – any scenario they might encounter in any type of combat or rescue situation. He even sees the possibility for the BAT and CAPE to be used as preparation for hurricane relief or similar missions.